Children have different sharing characteristics, but there is a basis for a sense of fairness and altruism in infancy. Babies (as young as 15-months-old) relate equal ration distribution with their willingness to share a toy. Some favor fairness and sharing, while others don’t. Is this nurtured from their parents and environment, or part of their specific “nature”? Some people don’t grasp the importance of morality for human existence. Morality is the basis for human cooperation, the key driving force behind our evolutionary success as a social species. Human cooperation does not persist if immoral violations infringe upon the rights of others in that cooperative system. Disregarding others does not promote fairness. Babies are just starting to grasp language and the full range of their motor skills, but they understand the concepts of sharing and fairness. One study of 47 babies had them watch 2 videos of an adult dividing food between two other adults, while they sat on their parents lap. The researchers looked for a “violation of expectancy” in the babies’ reactions. A violation of expectancy is when an expectation is not met where we stare in disbelief or shock at the result. Babies were more attentive to unequal sharing, with some being more surprised than others. 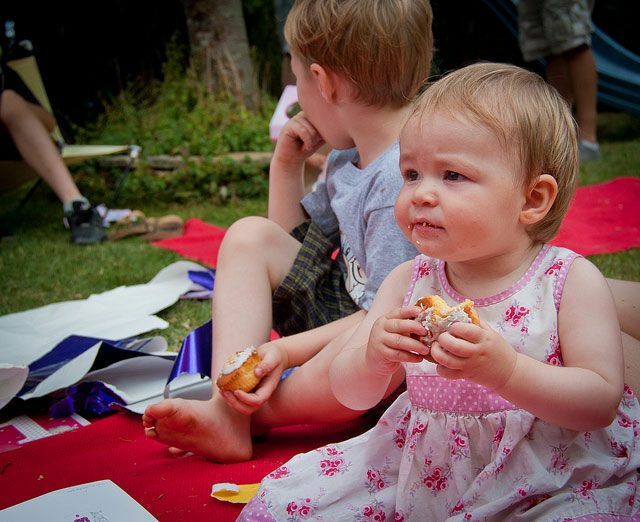 “The infants expected an equal and fair distribution of food, and they were surprised to see one person given more crackers or milk than the other.” said Jessica Sommerville who led the study. Next up in the study was to test for the willingness to share. Two toys were presented to the children, and they were asked to choose one. A researcher then approaches the child and ask them if they can have one. 1/3 of infants provided the researcher with the toy they had chosen, another 1/3 provided the researcher with the other toy, and the remaining 1/3 didn’t share any toy. Those who didn’t share any toy might be doing that because they don’t understand task being requested of them, or they are too nervous around a stranger. As previously mentioned, babies have different sharing characteristics or personalities. In the study, researchers categorized the different types of sharers. 92% of the babies who shared their preferred chosen toy to the researcher were also the ones who are shocked by the unfairness of portion distribution. These have been called altruistic sharers. 86% of the children who shared the least preferred unchosen toy or the ones that were instead shocked by equal portion distribution. These have been called selfish sharers. Researchers will be looking into whether this fairness and altruism are part of our nature as we are born, or are these qualities nurtured by our environment. The altruistic sharers are more sensitive to violations of fairness, as demonstrated in the food task. But as we grow up, our ideas of how fairness works seems to change as well (like shifting from egalitarian to meritocratic based fairness models). What seems more likely is that babies pick up on social and cooperative norms in nonverbal ways, as an intuitive automatic learning process through imitation of others and their surroundings and how people are treating each other.